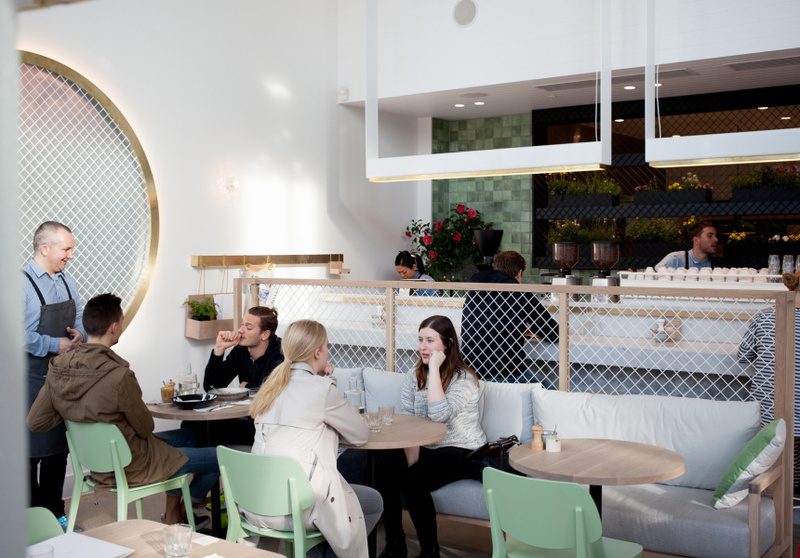 The cafe grandmasters behind Top Paddock and Two Birds One Stone have added a South Melbourne jewel to their crown. 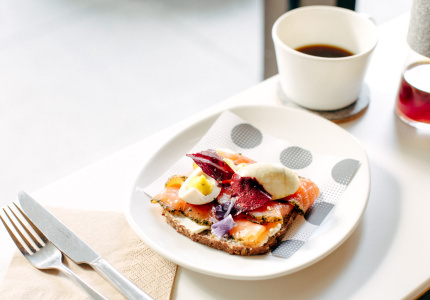 In the process, they’ve set an entirely new benchmark for breakfast in this town. It doesn't feel quite right to call The Kettle Black a cafe. Sure, the Top Paddock crew's latest venture still does the classics, but taken as a whole, the establishment has set its sights on something that’s more considered and refined than anything we’ve previously experienced before lunch. 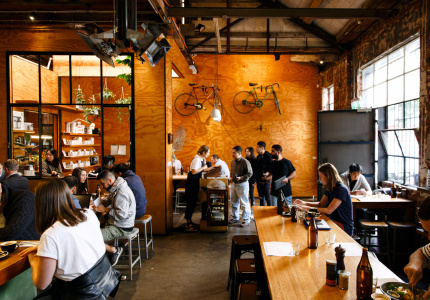 With ingredients such as house-fermented yoghurt, King Island crayfish and Flinders Island wallaby, it seems more like a breakfast restaurant than anything else. "We're just trying to go that bit upper-level,” says Tim James, former manager of Two Birds One Stone. 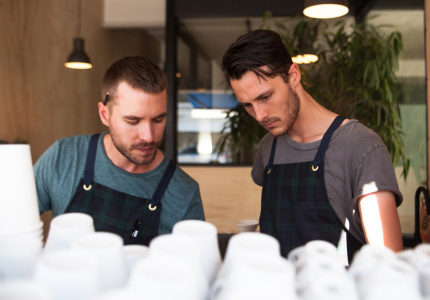 He's one of six owners at The Kettle Black, alongside Top Paddock's Nathan Toleman, Ben Clark and Diamond Rozakeas, their chef Jesse McTavish, and barista Sam King (ex-Seven Seeds and Place Holder). 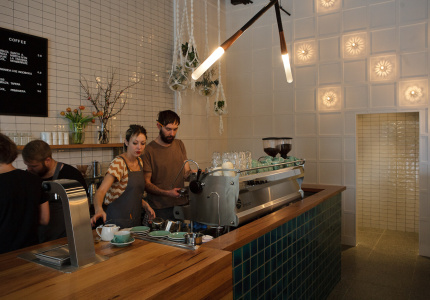 For espresso, there's a custom blend from 5 Senses, or a rotating single-origin. Filter is taken care of by specialists such as Small Batch and Market Lane. On good weather days, a coffee cart will sit out the front, to stop takeaways flooding in and out. As well as the menu that deserves to be taken as seriously as any in the city, it is this consideration for all aspects of the business that will set The Kettle Black apart. Despite the food's high aspirations, the vibe remains relaxed. 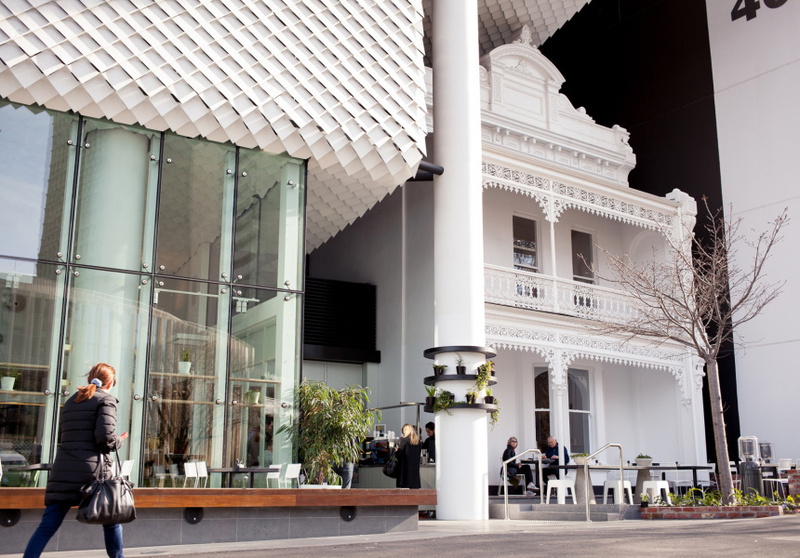 The lack of formality is reinforced by the old-timey panorama of St Andrews at the entrance, as well as the venue's birch wood stools, clusters of pot plants and a handsome marble bar. 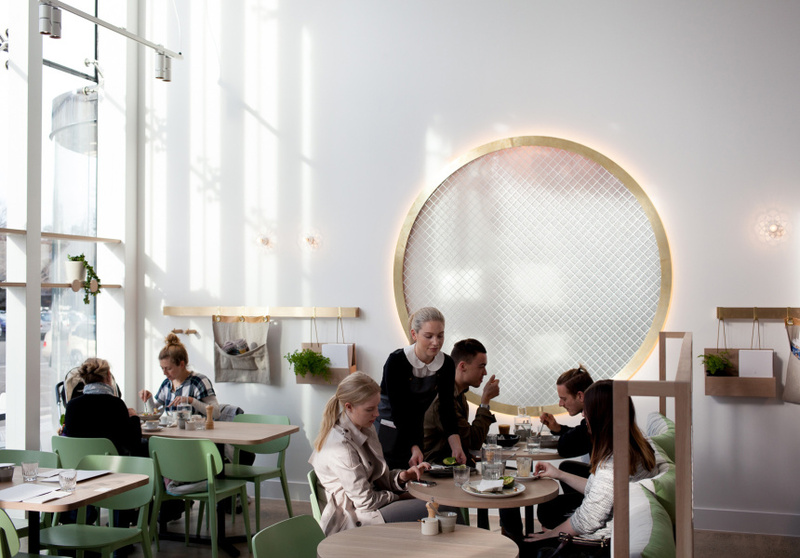 Green-accented chairs and tiles complete the seamless design by Studio You Me. It can't have been an easy task – the floorspace is split between an 1880s-era terrace house and the disused foyer of a brand-new apartment complex. "The Two Birds menu is very homely," James says of the group's evolution. "Top Paddock goes half-way towards that upper level. 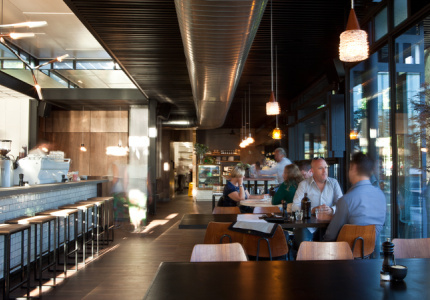 Kettle Black brings the best elements of restaurant dining – such as high quality food and service – but to a relaxed cafe setting. "You can be comfortable with it," James says.